Could Pinterest’s latest funding round convince tech sector leaders to target customers that aren’t just like them? 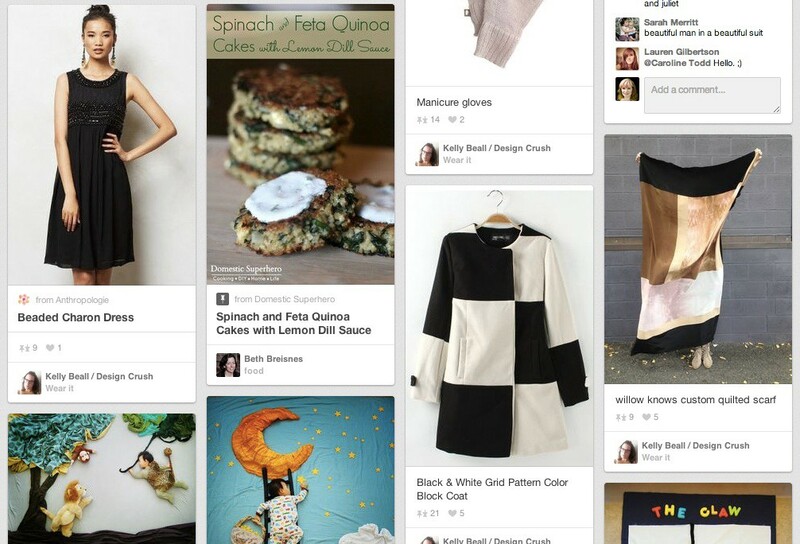 Pinterest has just closed a big funding round — $225 million — and has posted its current valuation at $3.8 billion. The digital world is all abuzz about it. And I notice that many of the online commentators seem surprised — shocked, even — by that valuation. This parallels my experience talking to friends about it: Men in the male-dominated tech sector are blown away that Pinterest has become A Thing (and that they didn’t see that coming). I humbly submit that their gender is a major factor in their difficulty swallowing this particular reality pill. Because here’s what I notice: None of the women I know are remotely surprised by this. It’s men I hear surprise from — because most of them don’t use Pinterest. (My straight male friends, anyway. They might use it occasionally, but not with any regularity.) And therefore, I guess, they didn’t expect that it could possibly be a huge deal. This morning, I read Kevin Roose’s New York Magazine commentary on Pinterest’s valuation with a familiar combination of amusement and irritation. Now, to be fair, the headline (“It’s Time to Start Taking Pinterest Seriously”) is the worst part — but I’m pretty confident he didn’t write it, so I’ll just shake my fist at that headline writer. (Perhaps New York would consider “It’s Time for Men to Start Taking Pinterest Seriously”?) But the body of the article is frustrating to read, as a woman in tech, because it feels like Roose is having a series of “Aha” moments that he could have had ages ago, if only he’d looked outside his own personal preferences and seen what has been patently obvious to every women I know in the tech sector: Pinterest is a freaking gold mine. Roose writes that he tried Pinterest a while back, but never understood its appeal, and dismissed it as an unlikely attempt at bringing the scrapbooking trend online. That’s fair enough; Pinterest isn’t for everyone. But I think it bears noting that it’s overwhelmingly men who make this comment about Pinterest: “I don’t get the appeal.” Sure, I’ve made that comment about a hundred apps that have gone on to acquire absolutely huge user bases — mostly men in roughly the same demographics as the apps’ creators. But what I don’t do is dismiss the app’s ability to find a market. I simply acknowledge that I’m not their target market. It seems, though, that the tech press suffers from a case of myopia when it comes to the notion that startups exist to serve customers, not the digerati. And in this case, that myopia is layered with some run-of-the-mill sexism, which peeks out from behind subtly patronizing comments about “scrapbooking” and “Midwestern moms.” How tedious and unsexy to build a social network that supports women’s domestic labour — helping them decorate homes, dress their kids, feed their families, share crafting activities, and enjoy a bit of daydreaming while they’re at it! How utterly… uh, brilliant and useful. To Roose’s credit, he definitely understands that he was blinded by his own bias — he admits that he falls outside of Pinterest’s core customer base (the average user is a Midwestern-US woman), and points out that said bias could be a tragic flaw if he were a venture capitalist. And yet, while I’m grateful he wrote this piece — and is gracious enough to acknowledge his blind spots — I remain frustrated by the overall state of the tech sector when it comes to this stuff. The space that caters to my demographic — the cushy 20 and 30-something urbanites — is oversaturated. […] But there are only so many suit customisation, makeup sampling, music streaming, social eating, discount shopping, experience curating companies that the market can bear. If you’re itching to start something new, why chase the nth iteration of a company already serving the young, privileged, liberal jetsetter? If you’re an investor, why revisit the same space as everyone else? All right, so Pinterest is definitely not targeting the unexotic underclass, but I do think it’s absolutely fascinating that a social network with 70 million users has somehow flown under the radar of significant numbers of tech-sector commentators, and I can’t help thinking it’s a gender thing. Anyway. This is actually a good news story — I’m happy that VCs have seen Pinterest’s potential and are investing in it — and a learning opportunity for all those commentators. So guys, here’s some stuff to consider if you’d rather ride the next big tech wave than be caught off-guard by it. While reliable stats are tough to come by, women control roughly two-thirds of purchasing decisions worldwide. Even if that percentage were 50% or lower, there’s huge monetary value in targeting women users. Targeting niche markets is often more successful than going mass-market. People like to feel they belong to a community — and to engage with brands in ways that aren’t simply transactional. Pinterest doesn’t have the user base that Twitter does (and maybe never will), but their referral traffic and click-to-purchase stats are off the charts. Leave your selection bias at the door. And get some diversity on your team, so you can avoid the trap of thinking your own preferences are representative of the everyone else’s.